Home / Cat Furniture & Supplies / Toys / Cattachment Fuzzy Catapillar Toy by Ware Mfg. 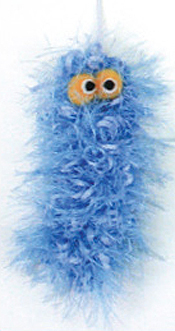 Cattachment Fuzzy Catapillar Toy by Ware Mfg. Cattachment Toys are available 13 different styles, give your Kitty new play-toys often. Cattachment Toys just snap onto any of the CatWare furniture.